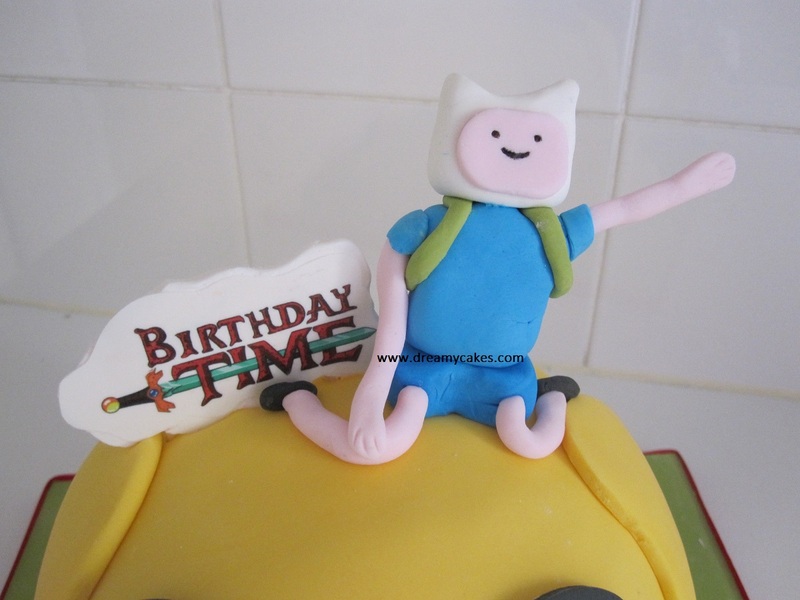 Birthday Cake Ideas - Adventure Time! Birthday Cake Ideas – Adventure Time theme! 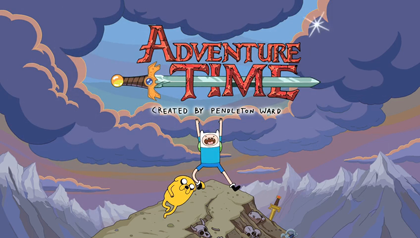 Adventure Time is a quirky, animated kids show created for Cartoon Network. It features main characters Finn (a human boy) and his best friend (and adoptive brother) Jake (who is a dog) and a host of other crazy characters. It’s one of those kids shows I don’t mind watching myself – it’s very funny and a bit different. 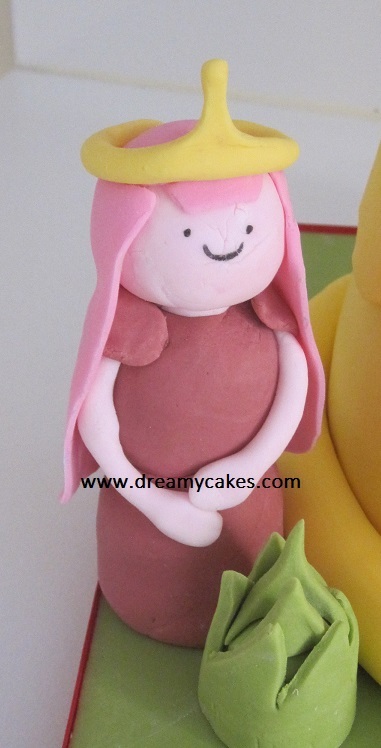 So I was really excited when asked to come up with some birthday cake ideas inspired by the Adventure Time characters. The customer wanted Jake the dog to be the main cake. 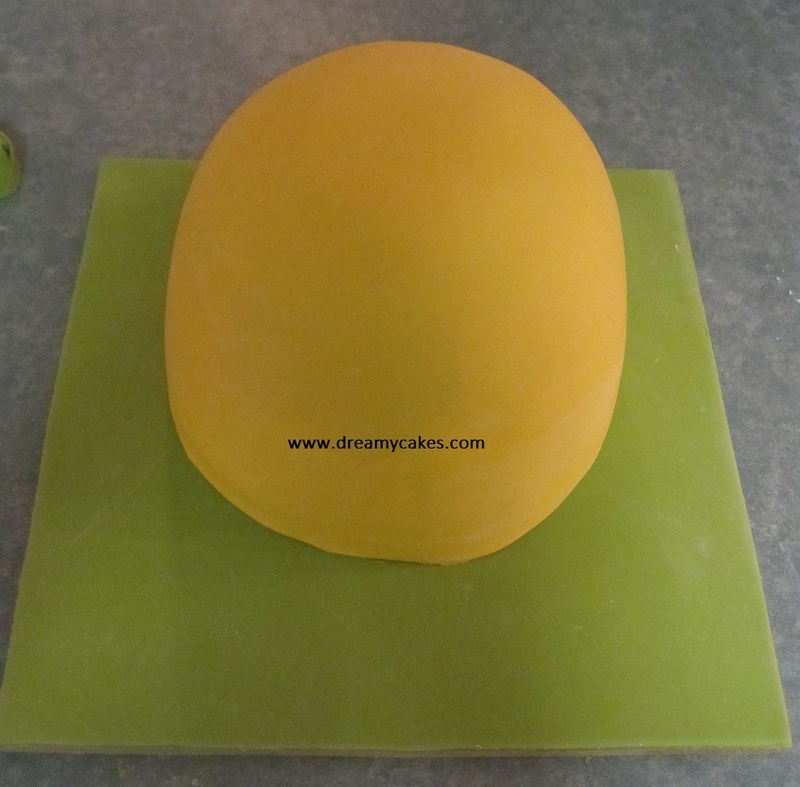 To start, I covered the cake board in green fondant icing. 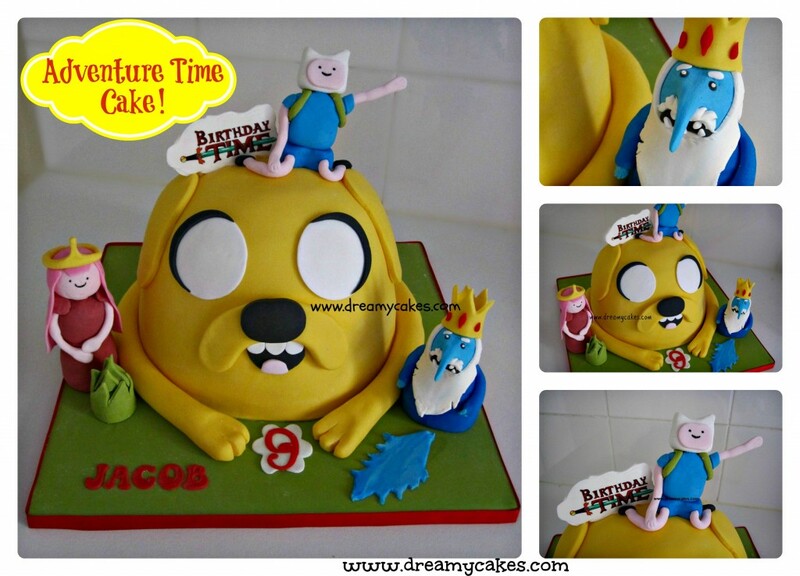 Jake was created by hand carving into 3 layers of butter cake, covered with buttercream icing and finished in yellow fondant. Fondant is like an edible playdough. It is made from sugar and can be moulded into almost any shaped. 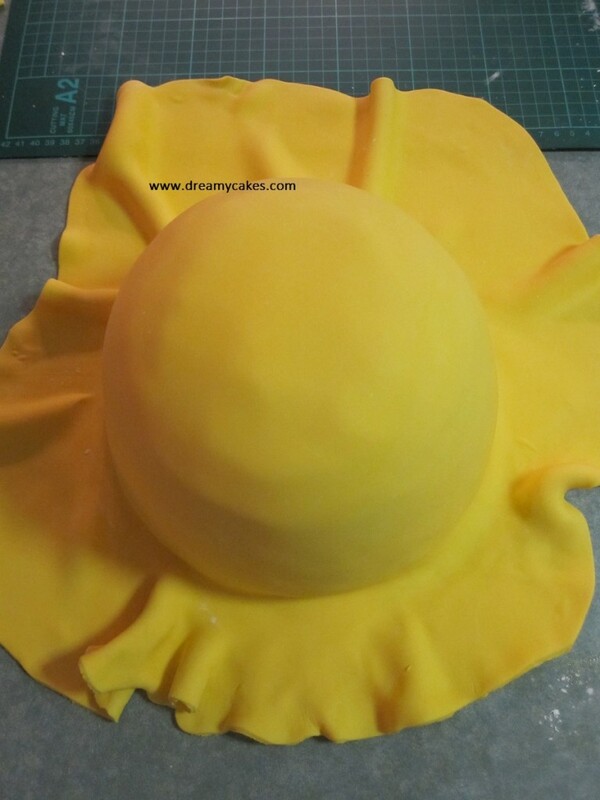 Fondant creates a perfectly smooth surface to work, can be coloured into any shade and is one of the most versatile ingredients to work with and for all of these reasons, is my preferred medium create with. 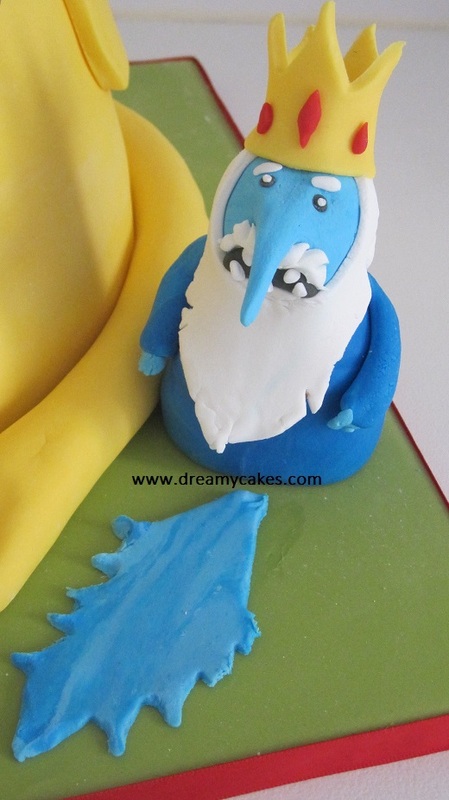 If you are looking for birthday cake ideas don’t forget to check out our childrens cake gallery. You will find lots of ideas for boys and girls. If you have any questions or would like a customised quote please email us: mail@dreamycakes.com or call 0405 136 562.